New Fibre project gets underway. 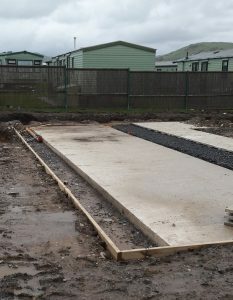 An exciting new holiday park development has just broken ground in Tywyn on the spectacular Cardigan Bay, Gwynedd, North Wales. HB Digital will be providing a full Fibre data network and SMATV TV system for the park, with over 60 bases. Our system will be a fibre optic backbone carrying all the internet, satellite TV and terrestrial TV for the lodge owners. They will have access to fast internet delivered directly to the lodge, and be able to watch SKY TV including the new SkyQ service, Freesat and Freeview TV.